The long velvet robe was hot, her shoes pinched her feet, and the crown was giving her a throbbing headache. Still, Rachel smiled serenely and maintained an expression of polite interest. 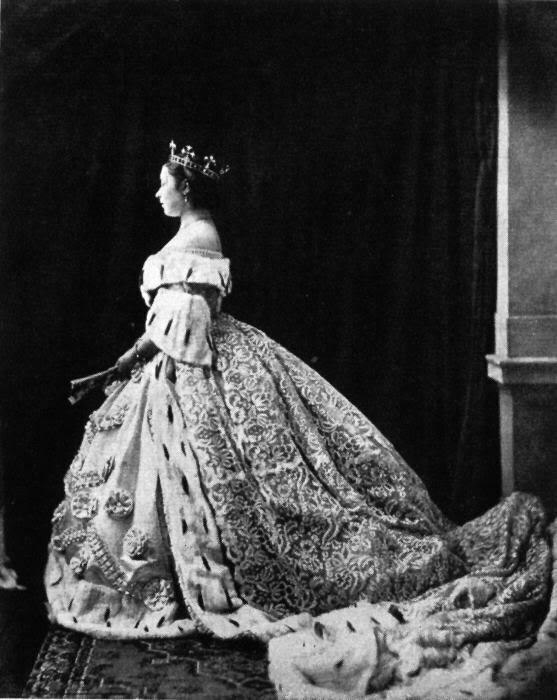 When she was finally able to stand to leave the hall, her knees nearly buckled under the weight of her ornate gown. Thankfully, two of her ladies in waiting were on hand to help her off the dais and back to her rooms. “Oh, thank God and all the seraphim and cherubim!” she moaned, dropping gracefully into an overstuffed chair. A giggle escaped one of the young girls waiting to help her off with her shoes, robe, and other non-essential clothing. An older girl shushed her quickly and handed Rachel a cup of strong tea, adulterated with a bit of cream and honey. “Thank you,” the queen sighed and then winked at the younger girl, setting off another quickly smothered giggle. A sharp rap on the door announced the presence of the chamberlain and Rachel glanced up from her tea. The chamberlain was a generally sober man, it was almost a requirement of the position, but she could see trouble on his face. “Leave us, ladies. Thank you,” she murmured, and waited until the last girl shut the heavy door behind her, leaving her alone with the stout man and her maid. “Would you sit, Chamberlain? I’ve had a long day with the trade ambassadors, and I don’t really think I’m up to craning my neck that far.” She waved to a somewhat more sensible chair across from her. “Thank you, Your Majesty. Ahem.” Rachel tried not to wince, but the chamberlain’s nervous habit of clearing his voice at the end of every sentence always left her feeling like she should offer him a sucking candy to clear the non-existent congestion. “Certainly, Chamberlain,” leaning forward she took the sheaf of papers from his hand and began to read each handwritten receipt. Her mother had always overseen the personal accounts of herself and her husband, and Rachel had continued the practice when she became queen. The chamberlain shifted nervously as he waited, and she suspected she knew why. It didn’t take long for that suspicion to be verified. “Ahem. I believe, Your Majesty, ahem…I believe that was the King’s purchase. Ahem.” He stared fixedly at some point just above her head, and a wave of crimson slowly crept up his neck and over each chin to gradually engulf his round face. “I see. And is my husband available to discuss this purchase?” she asked evenly. “I…Ahem…I really couldn’t say, Your Majesty,” he stammered. “Thank you, Your Majesty! Ahem.” He bowed his way out of the room, narrowly missing a large but delicate urn in his haste. As the door shut firmly on the chamberlain, Rachel rested her aching head against the back of her chair and closed her eyes. After a moment, she spoke. “Anna, please go ask Cook to prepare a light meal. I believe I’ll retire early this evening.” The sound of her maid slipping through the door and gently closing it was her only response. For just a moment, she wished herself back to those days when she was a princess, meeting her handsome prince for the first time—when infidelity and betrayal had been unthinkable. Strong plot line. And terrific ending. Wonder how the next day plays out. Thanks! If it was me...probably "Off with his...head!"